Beautiful mosques is an islamic app which helps you set beautifully architectured mosques from all around the world as your Smartphone’s background. Popular mosques among the list of mosques used as a wallpaper image in the app includes Al-Masjid al-Haram (Mosque of the Holy Kaaba) Makkah, Saudi Arabia, Al-Masjid an Nabawi (Prophet S.A.W’s Mosque) Madina, Saudi Arabia, Blue Mosque Turkey, Wazir Khan Mosque Lahore, Pakistan among others. Islamic wallpapers is a free android app that features the most amazing and beautiful background wallpaper images for beautifying your Smartphone’s screen. The app requires an active internet connection to set any wallpaper picture as the background of your android device. However, once the image is downloaded to the hard drive, it is saved on a SD card and is accessible to you anytime even without the internet connection. The app shares a wonderful collection of Islamic images such as Islamic calligraphy and monuments to set as your phone’s background. You can show your respect to Islam and Almighty Allah by downloading this app for free on your Smartphone. Download and start using this app to give yourself an experience of living in Makkah. Islamic Live wallpaper app as the name suggests has an amazing collection of Muslim backgrounds and wallpapers to help you stay close to Islam. The app is free to use for all Muslim brothers and sisters worldover. The app helps them to show their dedication towards Allah and to know that they always have His support in all the matters regarding life. The app contains beautiful collection of Islamic backgrounds including live wallpapers to offer the best wallpaper experience to its users. The app does not drain battery even when your phone is inactive. The Islamic Live wallpapers supports horizontal and vertical orientation to look amazing on both tablet and mobile phones. It also offers a full support for landscape and portrait mode. Wal360 by Brilliant innovators not only features top class wallpapers relating to nature, landmarks, landscapes but also contain an excellent collection of Islamic wallpapers. The app has an auto changing feature which changes the wallpapers at a specific time interval automatically. It also features live wallpapers and does not drain the battery of your smartphone. 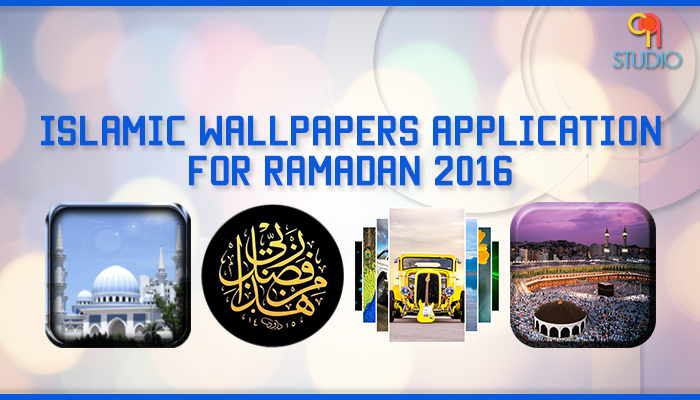 Islamic wallpapers often experience a high demand during the holy month of Ramadan. The apps listed above will help you set the best Islamic wallpapers to set as the background for your android Smartphones.